Rexx Battery in Springfield, Il offers iPhone screen replacements. Our dedicated repair technician ensures your phone repair is done correctly every time. We are proud to offer some of the best pricing in the Springfield area. Repairs are available from 9am to 5pm Monday through Friday. Call us at (217) 535-4096 or stop by anytime for a free quote. Unfortunately this service is not available at our Decatur, Lincoln, Jacksonville, or Quincy locations. No one can go long without their phone. 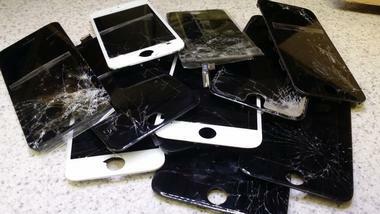 When you need your phone repaired you need it fast. Thanks to our dedicated technician, you will not have to wait long. 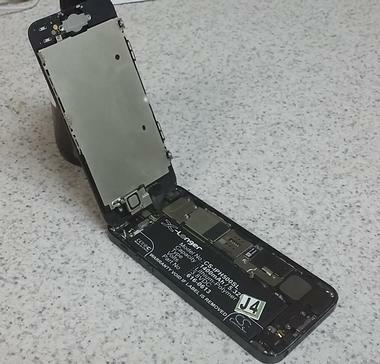 Repairs for iPhone 5 and 6 line phones can take as little as 15 minutes and are guaranteed within an hour unless demand is unusually high. iPads will be completed same day if they arrive in the morning. We will let you know the current time frame while checking in your phone. Rexx Battery also offers a variety of options to protect your phone from future damage. 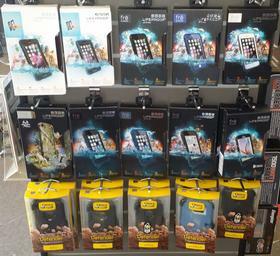 We are proud to offer both Lifeproof and Otterbox products at reasonable prices. Also, we offer tempered glass screen protectors with professional application included in the price.